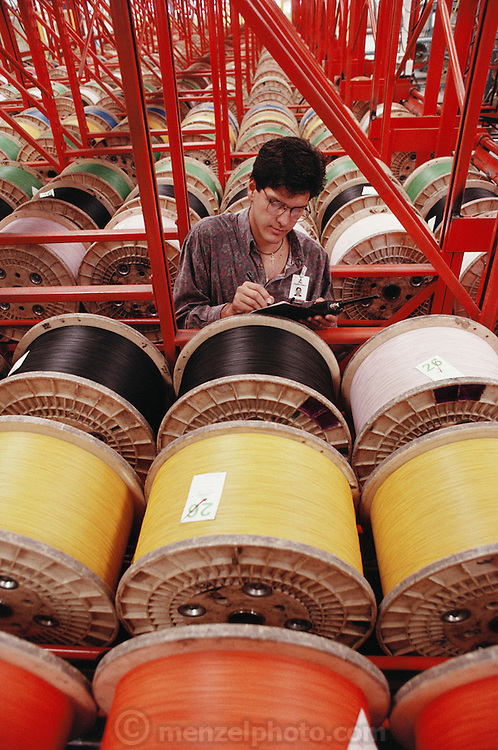 Condumex telephone cable factory. Insulation storage for robotic system. Humberto Stiller checks stock. Queretaro, Mexico. MODEL RELEASED.